Through a structure of 13,460 m² of built area, 5 out of work structures, 200 direct employees and a work developed with seriousness, The Ervateira Folle guarantees the quality of erva-mate that produces and takes more flavor to your chimarrão. Almost a century ago, in 1928, Florindo Folle began her activities in the field of yerba mate in Xaxim, in the west of Santa Catarina. Through an artisan process extracted and industrialized the yerba mate, plant typical of the local landscape. 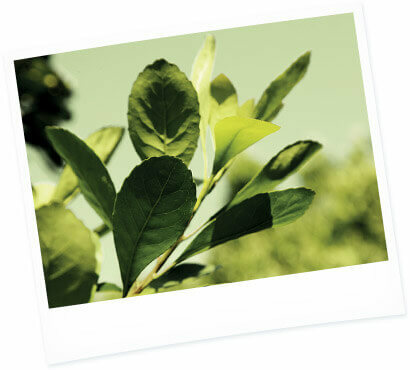 Through an artisan process extracted and industrialized the erva-mate, typical plant of the local landscape. Realizing a promising market, Mr. Folle went further, improved his industrial methods, and started sale part of the production of dried and unmilled leaves of erva-mate to Rio Grande do Sul. In 1970, with the constant acceptance of erva-mate Folle in the market, the children of Mr. Florindo Folle decided to follow the entrepreneurial steps of the father and formed the company Irmãos Folle Ltda, that began to produce erva-mate Folle and Baturitê. Today, at 39 years of foundation, Irmãos Folle Ltda. produces and distributes erva-mate Folle and segmented brands like Baturitê and Espuma Verde for Santa Catarina, Rio Grande do Sul, Paraná, São Paulo, Mato Grosso, Mato Grosso do Sul, Bahia, Minas Gerais and the Distrito Federal. This merit is from the constant investment in technology equipment for the processing of packaging and a structure that demonstrates the strength that Folle has achieved, preserving the chimarrão tradition in almost 100 years of history. • Respects environmental legislation in herbs, protecting the riparian forest. From the harvest to the production, Folle does everything to make the erva-mate of your chimarrão stay always fresh and tasty. In addition to complying with the legislation, the strict controlo of quality Folle ensures the erva-mate distributed to supermarkets is changed before its expiration date, so that the taste of your mate does not change.